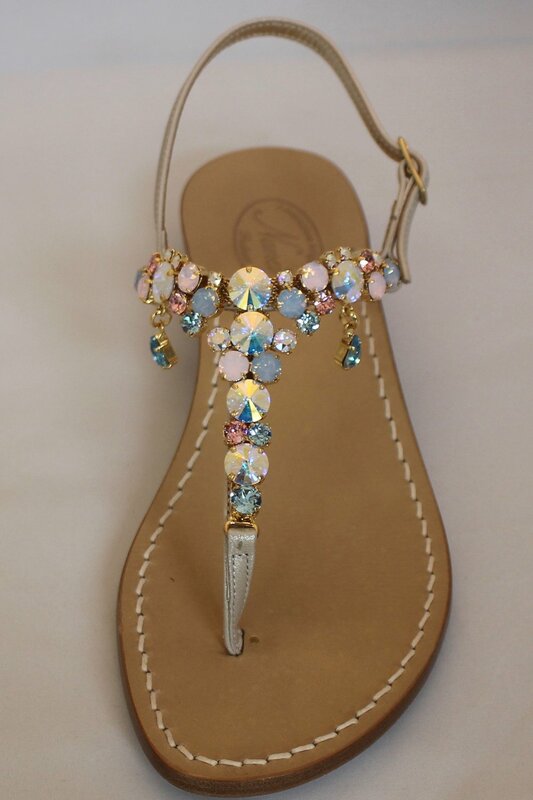 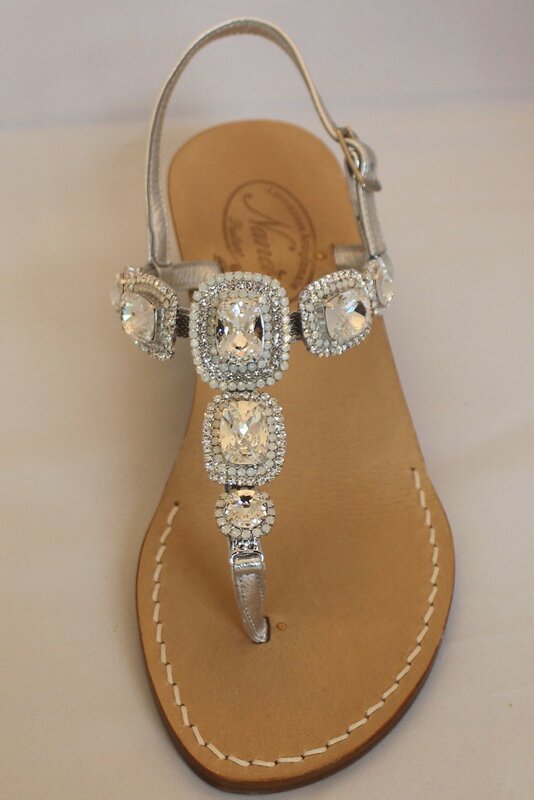 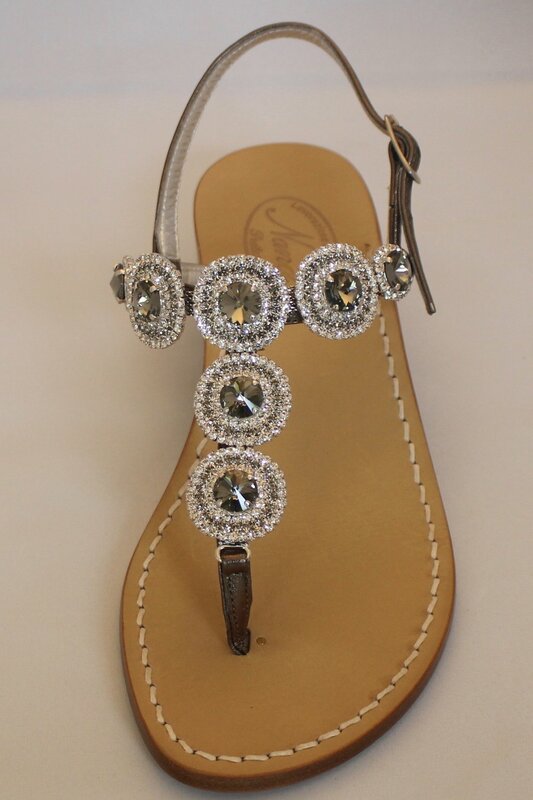 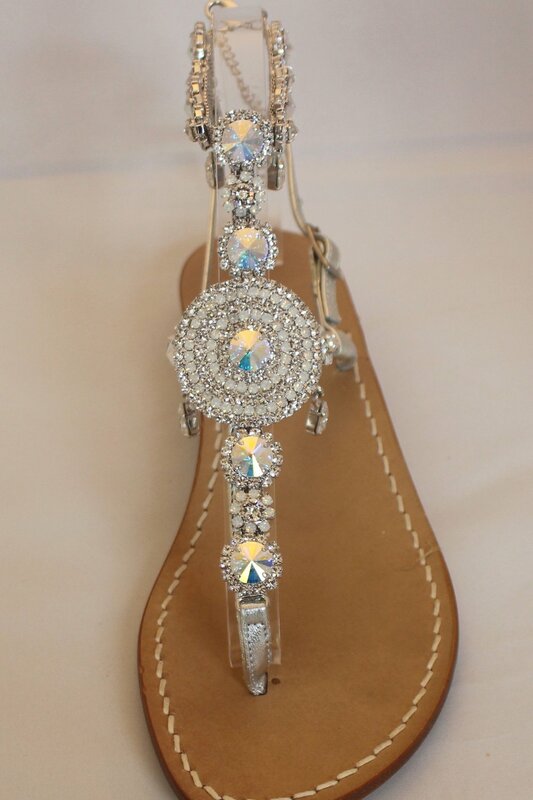 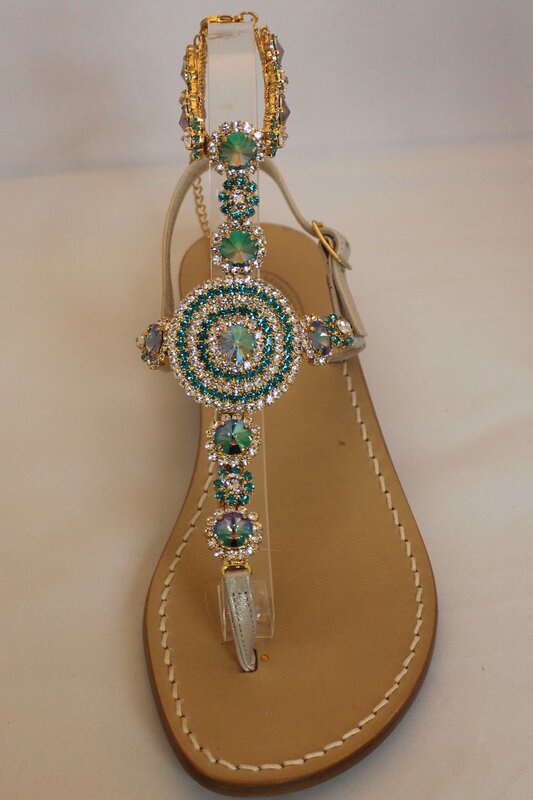 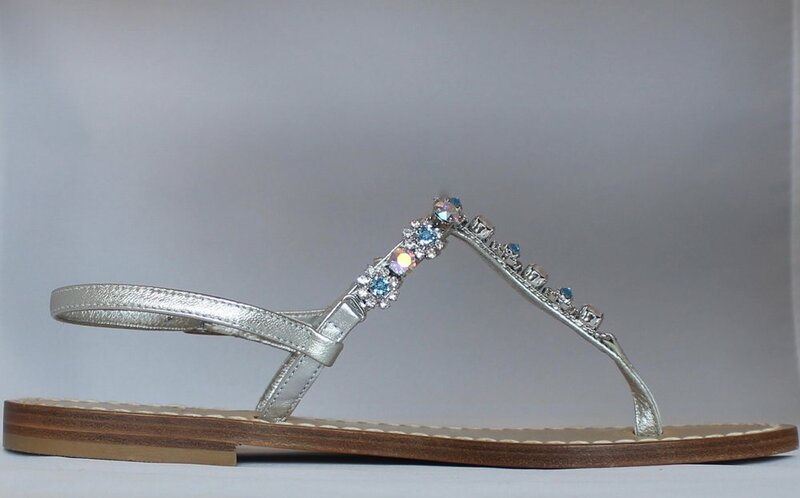 Our sandals are handcrafted in Positano, Italy by traditional artisans using sparkling Swarovski® crystals and luxurious Italian leather soles and straps. 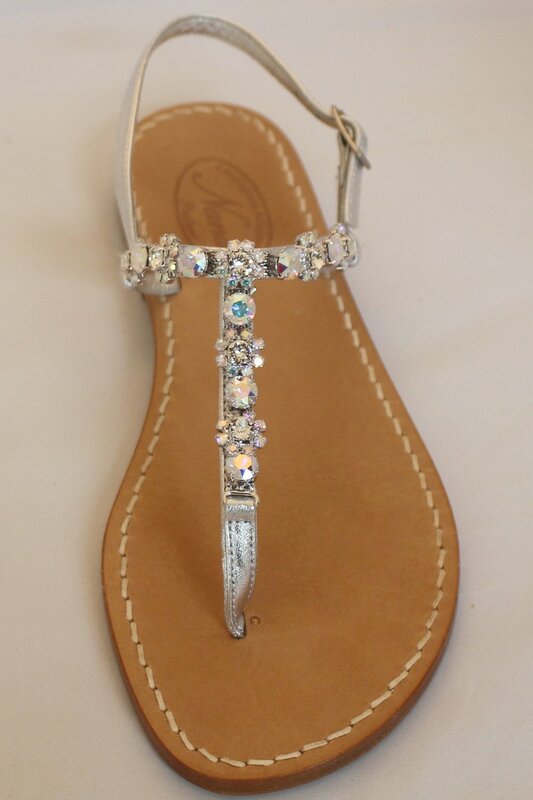 The brilliance of the Swarovski® crystals, combined with the variation of slim strap options which include champagne, silver metallic, snakeskin & python leather have made these sandals quite unique and a must have fashion accessory. 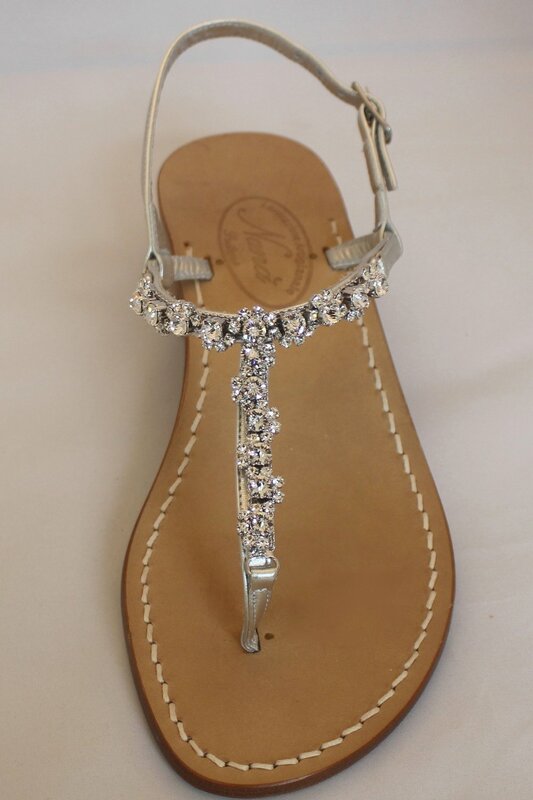 All styles may be customized with options listed below. 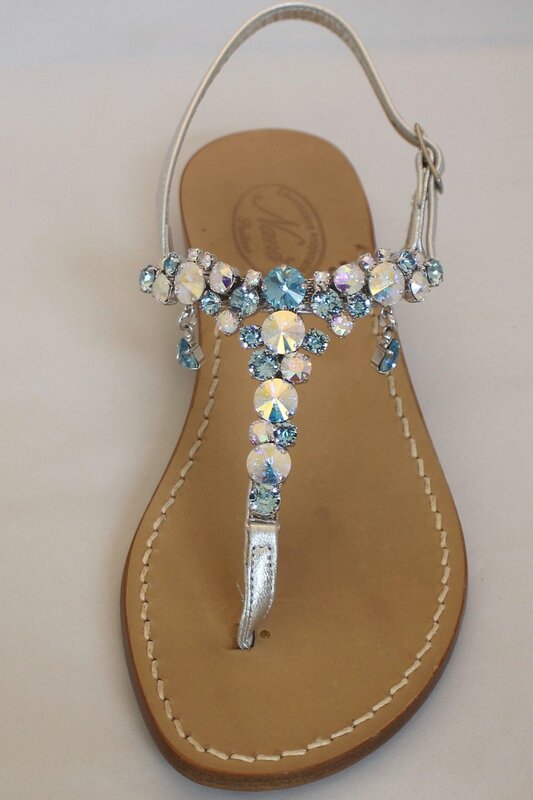 Swarovski® Crystal Colors: A wide variety of stones to choose from. 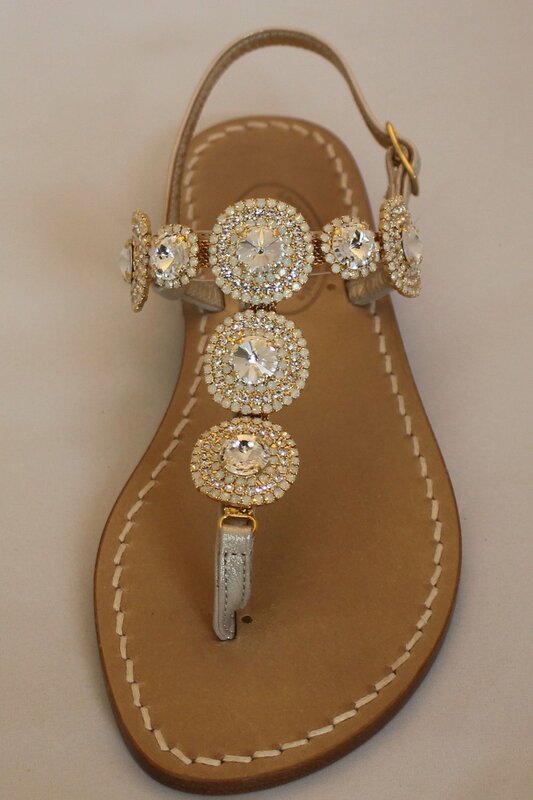 Fine Italian Leather Strap: Metallic silver or gold, snakeskin, black python, and many more. 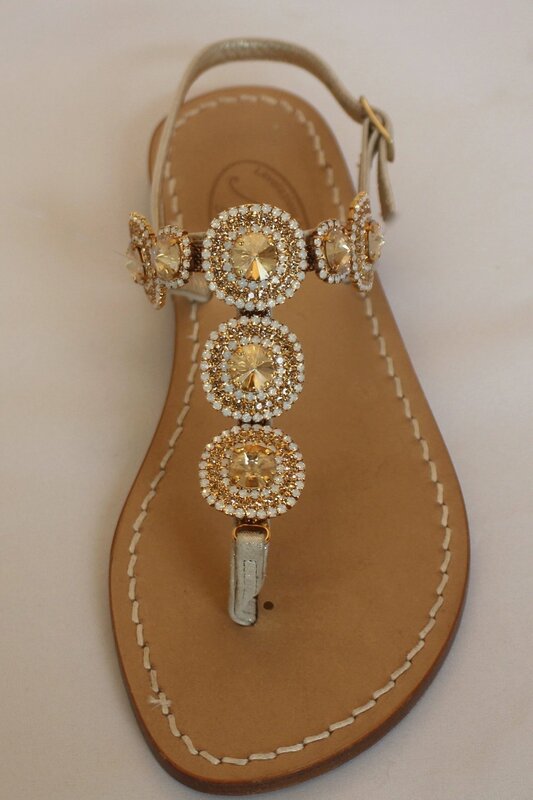 Jewelry Setting: Silver or gold. 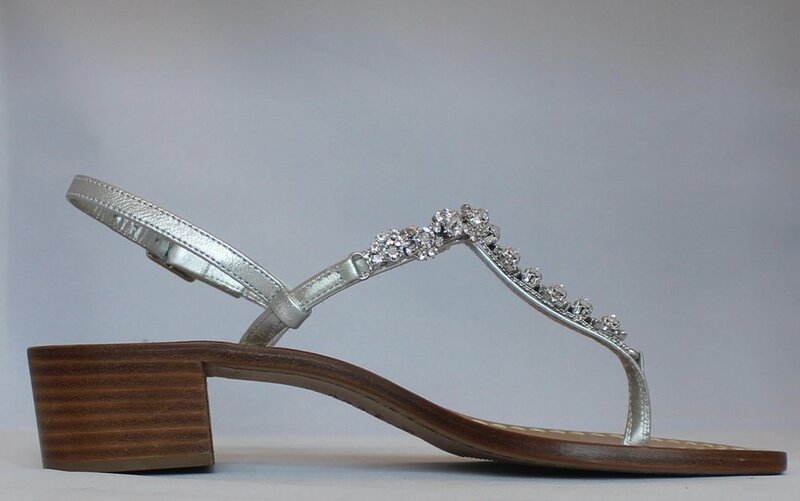 Sandal Width: Average, narrow or wide strap width as well as a wide footbed.